Fresh Corn Chowder | Good. Food. Stories. I feel bad for my recipe binder: it’s becoming the Winnie the Pooh of my bookshelf. Moved from a plush spot near the Thomas Keller books and now relegated to an inside cabinet—for aesthetic reasons, I told myself; the plastic orange looked chintzy and out of place compared to the rest of the hard- and soft-cover spines stacked, piled, and styled on the shelves. But the tough reality is that I’m outgrowing it. As a culinary autodidact, I learned to cook by following recipes to the letter. And though I used cookbooks sporadically, my collection was much smaller in the days where I moved dorms and apartments more often than a hermit crab outgrows its shell. Ripped-out pages from magazines, handwritten notes and scribbles, printed pages from the early days of food writing on the internet; those scraps of paper were my syllabus as I moved through my cooking education. These days, I’m more likely to cook on the fly, tearing a page from Food & Wine or bookmarking a particular recipe for an ingredient I’d like to use or a technique I’d like to adapt rather than executing a recipe wholesale. And though I measure and test to exact specifications when developing a recipe, the next time I return to that recipe, odds are high that the quantities become a loose guideline and reference for whatever I’ve got in the house. No scallions? Eh, I’ll use a few chives and shallots. More mint? Always. Which brings us to corn chowder. Growing up, the soup was always a winter dish, indelibly tied to memories of slurping down large bowls in our tiny breakfast room against the backdrop of a snowy white backyard and cold black night sky. And the recipe used a bag of frozen corn. Recipes change like tastes change. It’s the evolution of a confident cook to acknowledge this and adapt to suit your needs—nothing’s written in stone, and what fun is cooking if you can’t play with your food? I’m not suggesting we toss all family recipes to the curb and start fresh, but bring in what we’ve learned from the recipes we’ve committed to memory over the years—taking the lessons we’ve internalized and putting them to good use at every meal. 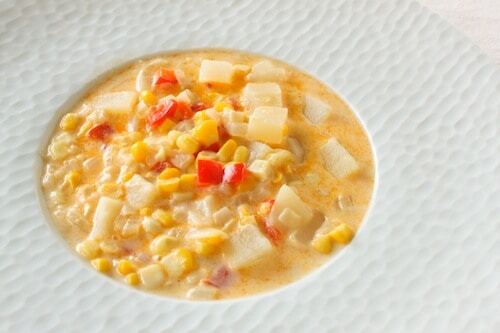 This will still be my favorite family corn chowder recipe. Maybe I’ll add pancetta like my friend Marie suggested when I do a fall version, maybe I’ll sub in ramps and scallions in early spring along with tiny, unpeeled red potatoes. Heck, I might even grab a bag of frozen corn in the middle of winter when my de-cobbed fresh-frozen stash runs out. But when I make it, I’ll still remember those cold winter nights in the family breakfast room that instilled my love of chowder in any form. Note: Simmering corn cobs in milk adds time to the creation of the chowder, yeah, but it’s inactive time—you can make a cocktail or do a load of laundry while the cobs steep, or just do it the night before and reheat the milk when you’re ready to pull everything together. 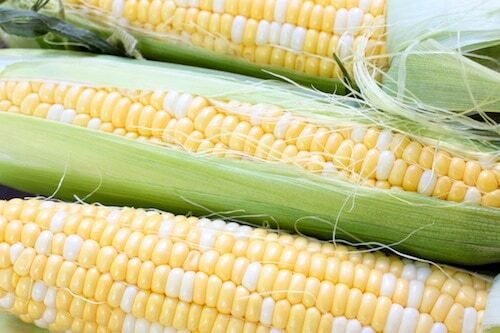 The corn cob trick adds flavor to any stock you’re building, so act like the pros and keep a bag full of stripped but un-simmered cobs in your freezer, ready and waiting to bring summer life to winter soups and stews. Or corn ice cream. Pour the milk over the cobs and bring to a simmer over medium heat. Once the milk begins to bubble, cover the pot, take it off the heat, and allow the cobs to steep and infuse the milk for 1 hour. Discard the cobs and transfer the milk to a large measuring cup or mixing bowl. Reserve 1 tablespoon of the milk in a small bowl. Wipe out the Dutch oven or stockpot to make sure no milk solids are left in the pan, then return to the stovetop. Melt the butter in the pot over medium heat, then stir in the onion, celery, pepper, and garlic. Add a pinch of kosher salt and cook, stirring frequently, for about 10 minutes until the vegetables are soft and translucent. Stir in the paprika and cook for 30 seconds to release the flavors. Stir in the potato cubes, the reserved corn kernels, and another pinch of kosher salt. Add the milk (except for the reserved tablespoon) and bring to a simmer. Cook until the potatoes are tender, about 5-8 minutes. While the soup cooks, whisk the remaining tablespoon milk with the cornstarch. Add the dissolved cornstarch to the soup during the final minute of cooking and stir to thicken. Season with additional salt to taste.